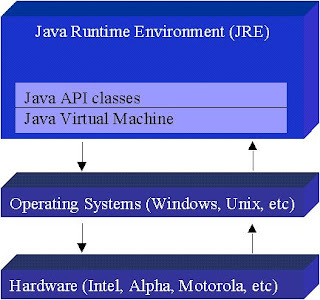 Mukul's Oracle Technology Blog: What the hell is JVM , Session , Cache ? From quite some days, I find threads on OAF Forums, where people could not understand the basic terminology of J2EE like session,JVM , Oracle user session, cache etc. I think these terms are not new for people from Java background, but for people who come from pl/sql background or not from Java background, these terms might look like hammers.I remember one thread where I and Tapash were replying somebody asked whats' the difference between ICX session and http session, I wanted to reply, but I thought, replying there would make thread too long, i guess that thread already crossed 4 pages and replying there may not reach to all target audience. HttpSession is nothing but a java interface.The servlet container uses this interface to create a session between an HTTP client and an HTTP server. who may visit a site many times. The server can maintain a session in many ways such as using cookies or rewriting URLs. Bind objects to sessions, allowing user information to persist across multiple user connections. employee id and so on. The WebAppsContext retrieves this key value after each request and uses it to query the current session state. The Oracle Applications user session or ICX SESSION is associated and not dependent with a servlet session, because , it has its own life cycle and time-out characteristics. Generally, the Oracle Applications user session has a longer life span than the servlet session. The servlet session should time-out sooner. While servelet session timeout is purely dependent on setting in Apache Jserv session timeout setting. after being prompted to log back in. Although the best practice as per Oracle standards is to sync ICX_SESSION and servelet session,till passivation feature is implenented in Oracle Apps. Passivation is still not supported in 11i and 12i. This is straight from metalink “The ICX: Session Timeout option sets the the maximum number of minutes to wait before invalidating an idle ICX Session. The default value is null. The web server session timeout value, or more appropriately the Apache Jserv Session value is used to specify the number of milliseconds to wait before invalidating an unused session. The default value is 1800000 or 30 minutes. We recommend that you set the ICX: Session Timeout and the Apache Jserv Session to be the same. It's better to be consistent and let the ICX session and the Apache Jserv (middle tier) session expire at the same time. If the ICX session expires before the Jserv session, the user will be presented with a login page even though the Jserv session is still active. If the user logs back in before the Jserv session expires, they will see the old state of their middle-tier transaction. This can be confusing, since from the point of view of the user there is no distinction between the ICX session and the Jserv session. We also recommend that you do not set the Apache Jserv Session timeout to be any higher than 30 minutes. Longer idle sessions will drain the JVM resources and can also cause out of memory errors. The session timeout for the webserver is specified via the following directive in the /Jserv/etc/zone.properties file. I think by now you must be crystal in ur understanding of basic key terms in J2EE.I would like to stress on one thing... JVM cache is shared across servelet/http sessions , and is purely dependent on first login, it can be removed progrmatically by invalidating the cache or by bouncing the apache server. Any doubts or queries are welcome! I am new in Apps but got good idea about the basic Apps context and Apps session . Thanks for the comments Anurag...! Today I saw your post. Very informative. I have a doubt - If I put a static variable in a class and deploy in OAF, will it be static (persist its value) only for a session or across all sessions? I am executing one query through VO. as it takes long time, the page displays "Page cannot be displayed" but the background session is active and I am unable to cancel the execution of the VO too. In this situation,I am unable to login back if I close the window. Could you please give me a solution for this? I am executing a query through VO. Since the query is running long, the page is getting expired and shows "Page cannot display". But, the backend session is active. Also, I am unable to login back to apps until that session completed. Could you help me in this? We have custom OAF application in which when user opens two sessions of the same application on one PC and when user save(commit) the changes in one session, OAF saves the data from both the sessions in to one table. This occurs in MS Internet Explorer but does not occur in Mozilla Firefox. How we can prevent this in MS IE? Thanks and regards. 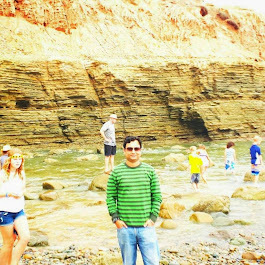 Hi Mukul. Im new java. I developed an java desktop application and this app connects to oracle db with apps and queries data from a view. the problem is that in PRODUCTION I got no apps password. I was wondering if you have some article about creating a apps session from a desktop application. 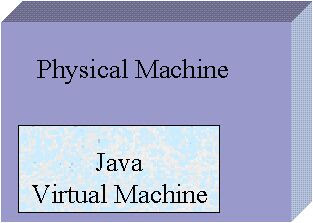 which basically tells about the patch u can install, which will allows ou to configure a AppsDataSource which enables access to the Oracle E-Business Suite APPS database schema from external Java EE environments without sharing the APPS schema password. for the sessoin timeout of servlet..
Is it possible that we can disable these cookies and manage all information in session? I am setting an Httpsession value in servlet. But I am trying to retrieve it from controller. It works fine from jdev but not working from server. I am setting it in servlet like below. In controller, I am trying to retrive the value like below.